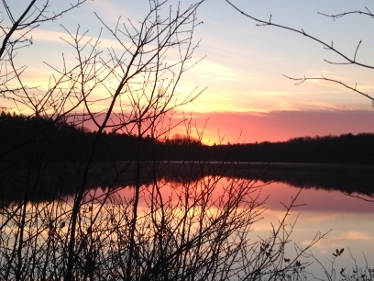 For the last 20 years, backpacking has become a passion. I am a four-season backpacker and an off-trail navigator. Although I do take yearly trips to the American West or Southwest, the majority of my trips are in Michigan. My pack weight varies considerably but my base weight is below 18 lb (8 kg). I am primarily a tarp camper who averages more than 50 nights a year backpacking in a huge variety of weather conditions including relentless rain, wet snow and sub-zero temps. XL (also available in L), Both pads are the same length at 77 in (196 cm), however the XL is 5 in (12.7 cm) wider at 30 in (76 cm). The pad choices are both 3 in (7.6 cm) thick. 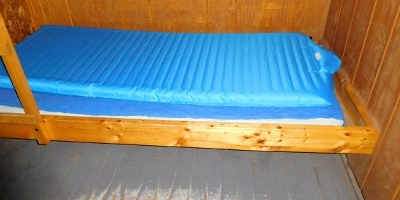 The NeoAir Camper SV mattress pad in size XL arrived in great condition. A stuff sack and repair kit are also standard with this item. The pad is one of several in the Therm-a-Rest Camp and Comfort category by the manufacturer. Such a pad would mostly be used for base camping although it can be used for other applications. What makes the NeoAir Camper pad different from a lot of pads on the market? The sleeping pad or mattress features a SpeedValve. This consists of a wide 9 in (23 cm) opening on the top end of the mattress that extends 10 in (25 cm) away from the body of the pad. There is a buckle strap along the perimeter of the opening. The opening has an inner thin plastic-type wide spout that can be taken in or out. The SpeedValve reportedly " pulls in surrounding air to amplify your breath." This supposedly makes it much easier and less tasking to inflate and deflate the pad. According to the manufacturer the design allows "you to inflate your insulated mattress up to three times faster than traditional valves, with a fraction of the effort." Since this is a big pad at 30 in (76 cm) by 77 in (196 cm) by 3 in (7.6 cm), it sounded great! I read the directions carefully. I laid the mattress pad flat and made sure the internal SpeedValve was tucked in. I blew into the opening using strong, sustained breaths as suggested 4-6 in (10-15 cm) from opening but I repeatedly had a hard time expelling enough air to inflate the mattress. The videos on the manufacturer's website show very few breaths are necessary (even the one with the kid scientist), but I maybe took 25 or more before I gave up. I tried again later and still could only inflate it part way. I then went outside with the pad as I thought maybe it needed some outside air to be drawn in to create more air pressure differential. No luck. My guy friend came over and I put him to the task as I thought that maybe my breaths were too wimpy. He had trouble as well. I don't think his ling power is below average! I decided to use the regular valve to blow in some breaths. I left it inflated overnight and then deflated it. I tried to inflate the pad again and it was much easier to inflate this time around. However I couldn't totally inflate it without the help of exhaling some breaths into the regular valve. Not ready to give up, but right now I can't see the advantage of the SpeedValve other than for deflation. When inflating the pad, once the required breaths are taken the mattress will begin to bulge. When the desired amount of air is in the mattress I pressed the straps together and rolled the top seven times. The last step is to secure the buckle. Deflating the mattress is easy, just unbuckle and apply some pressure to the mattress. The internal SpeedValve will automatically pop out. The mattress did come with a stuff sack which has already been easy to use in the field. The pad best fits when folded lengthwise in half. 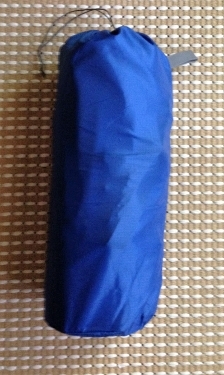 The sack measures about 15 in (38 cm) by 6 in (15 cm) when the pad is inside. There is a handy pull tag on the side of the stuff sack to facilitate stuffing the pad. Besides the SpeedValve, the mattress pad features an R value of 2.2. The top of the pad is fabricated with 75d Polyester Double Diamond. This material is soft and non slippery. The bottom of the pad is made with 75d Polyester. This fabric is slightly shiny and smooth. The inside of the pad features reflective ThermaCapture technology (reflects radiant heat back to body) and WaveCore construction. The latter is a single layer of horizontal wave baffles that reportedly doubles the warmth of an uninsulated pad by slowing heat loss. The Neo-Air Camper SV features a thick and comfortable pad with a patent-pending auto reverse valve. I have already taken the pad out on a two-night backpacking trip to two different backcountry rustic cabins. I have inflated it two more times in the field...seems to be getting a bit easier to get air in it so I wonder if it has to warm up to use. Those thoughts and many more will be included with my Field Report in two months. During the field test period I have spent eleven days backpacking and hiked into a rustic cabin on another trip for three days. All trips were in Michigan and Minnesota. 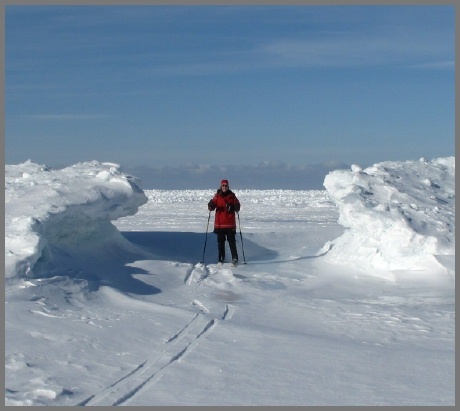 Trip locations included lakeshore to boreal forest. Elevation ranged from above 600 ft (183 m) to almost 2,000 ft (610 m). During the first two months of testing the Camper SV sleeping pad, I brought it on several backpacking trips. I must say that I was pleasantly surprised that I could include carrying and using the pad on all those backpacking trips. It does pack rather large compared to my regular pad but I was still able to fit it in my backpack. Needless to say it weighs more than twice as much as my regular pad but the comfort was worth it. Since these trips occurred in summer temps, my pack didn't have as much bulky gear as it would for the other seasons of the year. It also was used two times for an extra bed in my home. I also brought it along for a similar purpose on two road trips but didn't need to use it. In one case I backpacked into a rustic cabin and then backpacked to another the next day. There were still many miles (10 mi/16 km) that I was carrying the pad. Normally in rustic cabins there is some kind of vinyl mattress that is rock hard. Placing the pad on top of the mattress was simply easy and so much more comfortable. I was also able to use the pad in my Rainbow Tarptent during my trip of three nights to Grand Island. It took about the entire length of the tent but didn't have any problem with it sliding sideways. My trip to Isle Royale consisted of sleeping in a 2 person Big Agnes tent one night and spending another two nights in three-sided shelters. Glad for the extra comfort on the latter as the shelter floors are unforgiving. I love the size of the pad. Having the XL version means more width than any pad I have ever owned (30 in/76 cm). There is no issue with my arms hanging over the edges or rolling off for that matter. The surface is not slippery so my sleeping bag stays in place. The pad also folds up nicely and fits in the stuff sack without crazy maneuvers on my part. During this field test period the mattress as aforementioned was used on top of bunk bed vinyl mattress, in two different tents, on the floor of three-sided shelters and on top of carpeting at home. Every aspect of the mattress that I mentioned so far being the size, comfort and non-slippery surface are all excellent. Now for the less desirable part. I still am having major difficulty blowing up the pad with the suggested method for the SpeedValve. Believe me I have tried everything that was suggested and even sometimes placed the pad on a higher surface so that my breaths can be directly in line with the opening. I am only successful to a certain point. That means that I can get it partially inflated, but after great effort I just don't seem to get anywhere after the half-way point. I actually feel kind of lightheaded trying to go further. So....I end up blowing into the second valve to finish the process. Although I am not opposed to that, I realize it is not the preferred method. I have tried using short breathes, long breathes, fast breathes, slow breathes, and have varied the distance from the valve while doing so. Not giving up but not real pleased with the effort made combined with the results. More testing to do! During the long term test period I have spent an additional fifteen days backpacking and spent three days at a remote lighthouse on an island in Lake Superior. All trips were in Michigan. 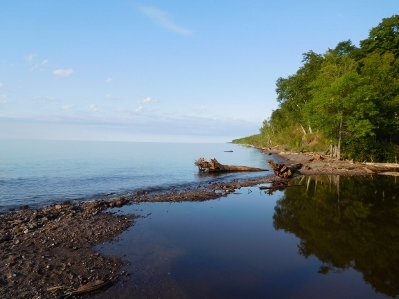 Trip locations included lakeshore to boreal forest. Elevation ranged from above 600 ft (183 m) to almost 2,000 ft (610 m). During the last two months of testing I was able to use the Camper SV pad on several more outings. It continued to be warmer than normal for fall weather so I didn't have to pack as much bulky gear in my backpack for cold weather. 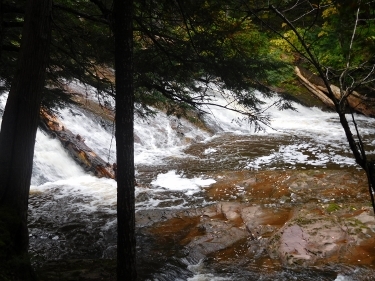 It helped that two of my trips involved backpacking from rustic cabin to rustic cabin so I didn't have to pack a tent. On one of the trips I had several double-digit trail mileage days backpacking. I didn't feel the extra weight of the pack with carrying a bigger/heavier sleeping pad. I also used the pad for a trip to a remote lighthouse on an island where I used it on top of a lumpy futon. 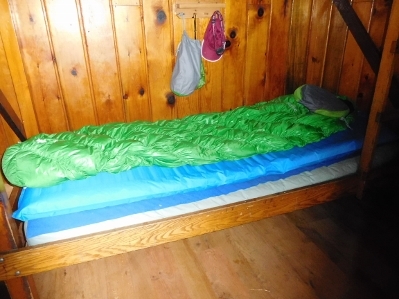 Overall I was surprised that I continued to take it on backpacking trips despite the weight and bulk as I believe the manufacturer intended it to be a base camp mattress. I have continued to enjoy both the size and comfort of the pad either by itself in a tent or on top of a different surface. I have enjoyed a bit more success at blowing into the pad but still have to top it off with blowing into the secondary valve (after closing the pad with the fold-over top). I just think I probably don't have the "steam" to inflate it properly on its own. As aforementioned in the field report I have tried all sorts of tactics. The durability of the mattress hasn't been in question after using it in tents, shelters, rustic cabins, on the floor at home and even on top of a futon. It looks as new as when I received it. The storage bag has been so easy to use as it is roomy enough to not have to force the pad into it. So the question remains whether I use this pad again after testing? I can be assured that I will because it is simply worth it for the comfort aspect (I notice that I don't re-position myself nearly as often while sleeping on it). I also enjoy the fact that my body stays in place and does not slide off the mattress likely due to the size of it as well as the non-slippery surface. I do envision using it less when longer trips (more than four days) are planned as it takes up more room in my pack than my other choices. But I do know that this winter when I hike into rustic cabins it will be with me. I do not plan to use it for snow camping however as it would have to be combined with closed-cell pads to have a thermal effect. The SpeedValve is far from speedy! Thanks to Cascade Designs and BackpackGearTest.org for this opportunity to test the Therm-a-Rest Camper SV Mattress. This concludes my Long Term Report and the test series.